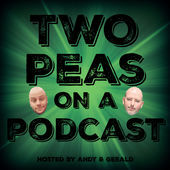 This week, Gerald is joined by very special guest Chris Braaten (More Gooder Than) to discuss John McCain’s high drama in the Senate, Trump’s continued smear of America’s image, Michael Phelps vs. a “shark,” how the new Amazon Alexa may kill you, Scaramucci’s abrupt exit and just how hot a chili pepper can be. Please enjoy and share! Find our guest, Chris, on Twitter @MGTPodcast and online at More Gooder Than. Find this week’s #PodernFamily featured shows on Twitter @TheCountdownPC and @RabbitEarsTVPod. Intro/Outro: “Left Hand Free” by Alt-J. ℗ 2014 Infectious Music Ltd. All Rights Reserved.